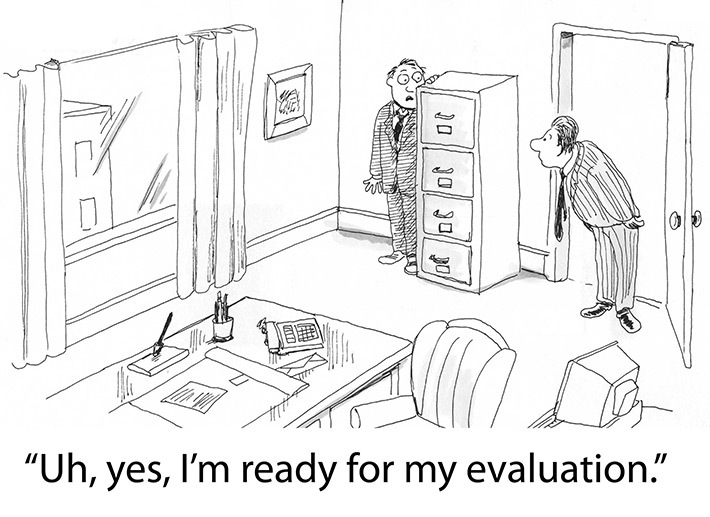 Mention the term “performance evaluation” and employers and employees cringe. Employees hate annual reviews and managers view them as a painful waste of time. And why not? A study by Towers Watson shows they aren’t very effective. What’s more, they often alienate workers instead of helping them to improve. And with 50% of those surveyed dumping annual reviews altogether, what’s a company to do? You need SOME sort of yardstick to measure how your employees are performing. Thinking outside the box is a good start. Fortunately, there are lots of sensible ways to bring your business into the modern age and get the job done better than ever. Overhauling your employee performance-evaluation process may require some heavy lifting but any pain will definitely be worth the gain! They are incredibly time-consuming. The paperwork alone is a nightmare! Employees often feel disconnected and frustrated because the process is slow, and feedback is limited. They don’t yield accurate information. Annual evaluations can’t keep pace with today’s workplaces. What was a priority last week is off the grid this week. They focus on the PAST instead of the future. Nothing is more frustrating for employees than discussing what they could have done better. It’s even worse when the conversation is tied to a pay increase. Transforming outdated performance reviews into modern tools that provide useful information and help employees excel can be done in many ways. The key is to make them fluid so they adapt to your workplace. Conduct ongoing discussions. Many managers make a big mistake by setting objectives, then forgetting about them until the appraisal meeting. Managing performance is a weekly, if not daily, event. Regular conversations between employees and managers make it easier to share what’s working and what’s not. Require self-assessments. Most employees know themselves – and their individual strengths and weaknesses. A self-assessment is a great way for them to address to their challenges, tout their accomplishments and establish a conversation with a supervisor. What’s more, it can be used as a tool to track progress with personal goals and/or identify the need for additional training. Institute one-on-one coaching. Call it corporate tutoring, if you will. A survey of 4,000 American companies showed that coaching improved individual performance, bottom-line results, goal achievement and retention. What’s not to like? The HR experts at TrackSmart have created a performance review template to help you get started. Please fill out your information below to download our FREE annual performance review template.